Who buys a 25 dollar bottle of hand soap? 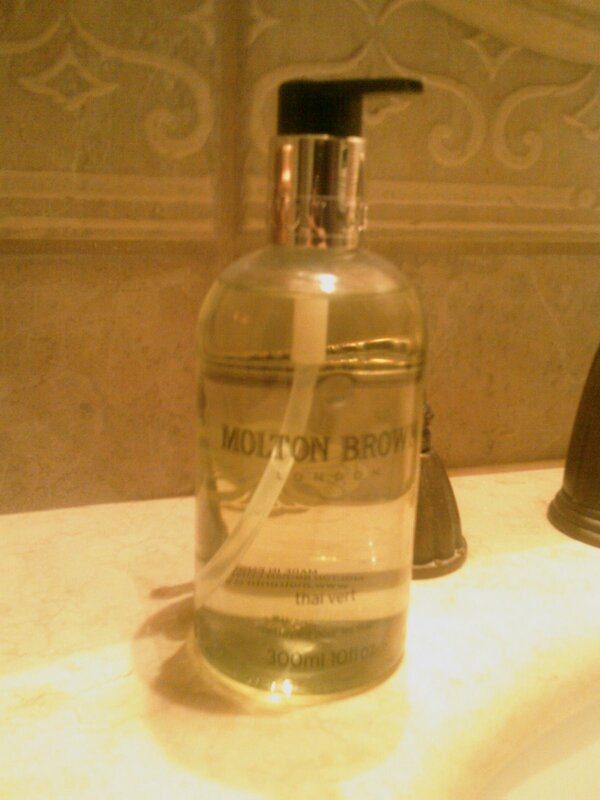 I guess I do, but only when it smells as good as Molton Browns Thai Vert hand soap. And another plus is the bottle is very big and each pump gives you a tiny bit.. But its enough to get your hands smelling fresh and herby. Its a sort of masculine herb scent.. Like a rosemary lime scent. The bottle also looks very nice on the countertop.